The Dressmaker. A best-selling novel written by Rosalie Ham and recently turned into an award-winning film starring Kate Winslet and Liam Hemsworth. It is a story set in the 1950’s, in the fictional outback town of Dungatar, Australia. Tilly played by Kate returns to her hometown after a successful career in Paris as a dressmaker to tend to her ill mother and in the process transforms the townspeople with her dress designs. 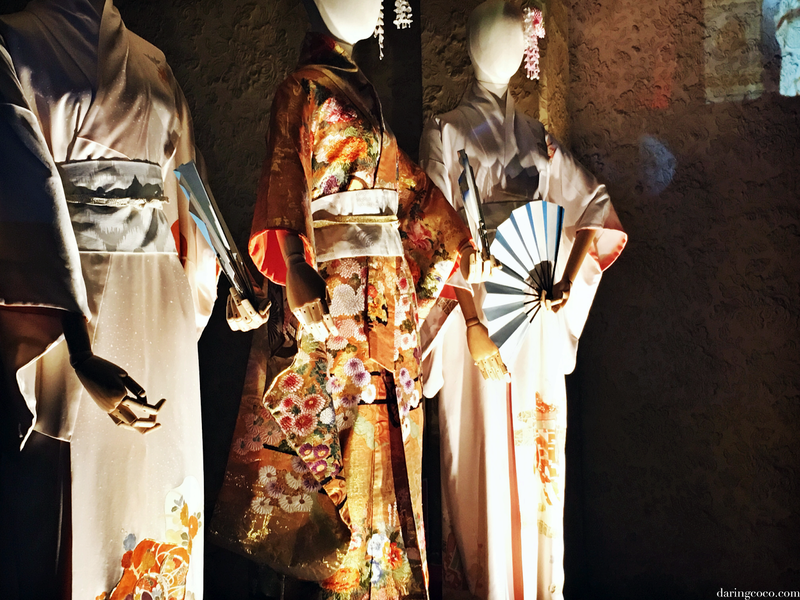 The tale has numerous themes, none more prevalent than fashion itself and its undeniable power of inner and outer self renewal. 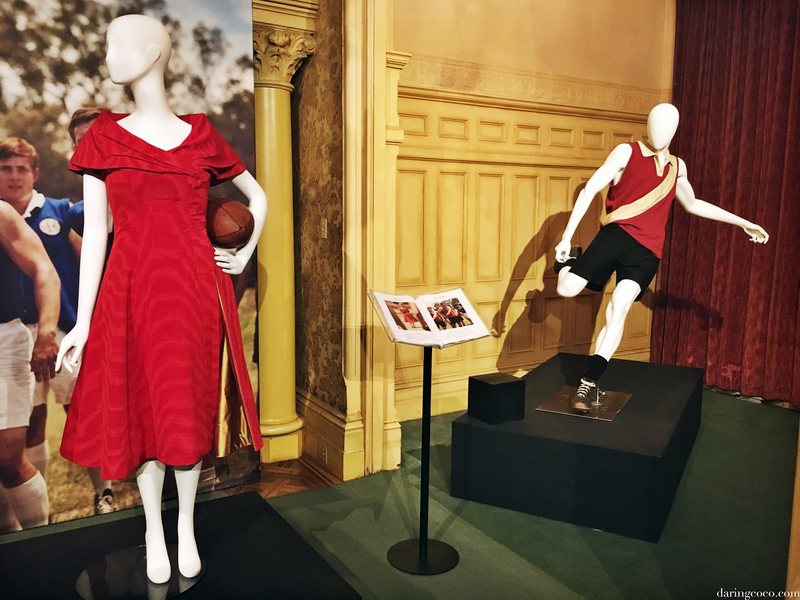 And it is these very fashions in The Dressmaker, a total of fifty haute couture creations by costume designers Margot Wilson and Marion Boyce that are currently on display at the Rippon Lea Estate in Melbourne. 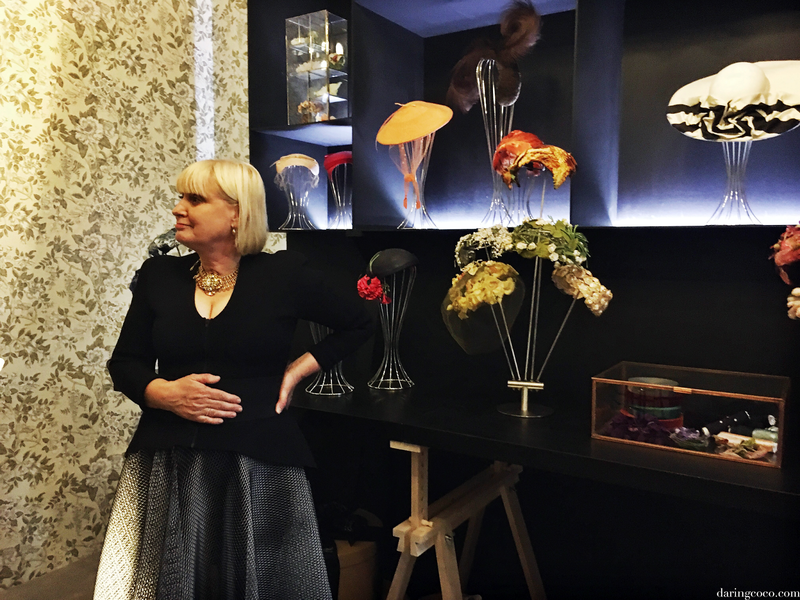 And last Thursday night I had the extreme pleasure of attending an exclusive bloggers preview to marvel at the incredibly iconic pieces showcased in the movie, and meet with the costume designer and author themselves. 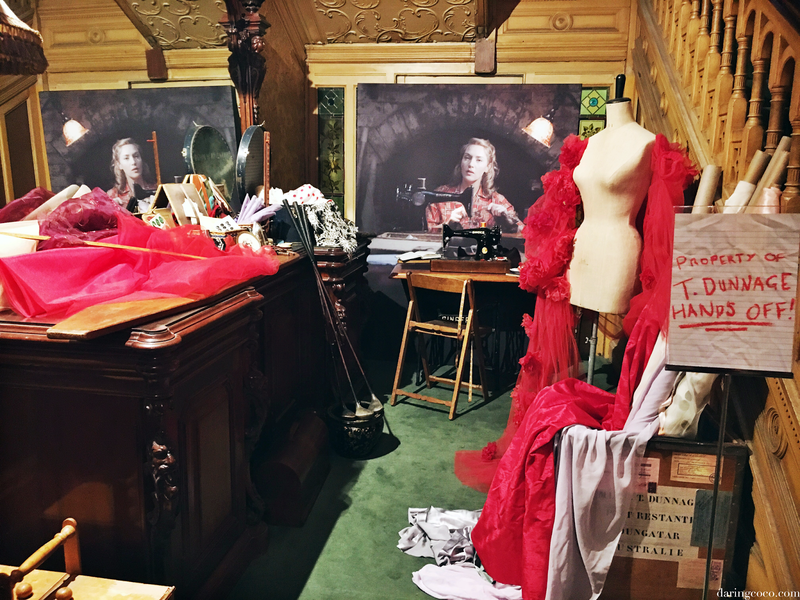 The Dressmaker costume exhibition, now open to the public to peruse, is on display at the Rippon Lea House and Gardens. The estate itself is a gloriously palatial mansion built in the 1960’s. 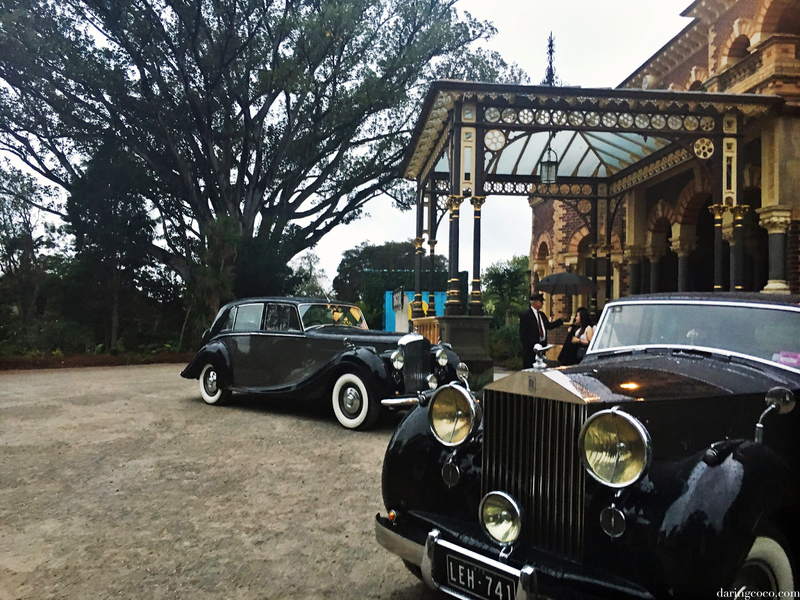 Truly a most exquisitely luxe locale, both on the inside and out and one that is perfection paired with these dazzling vintage pieces. 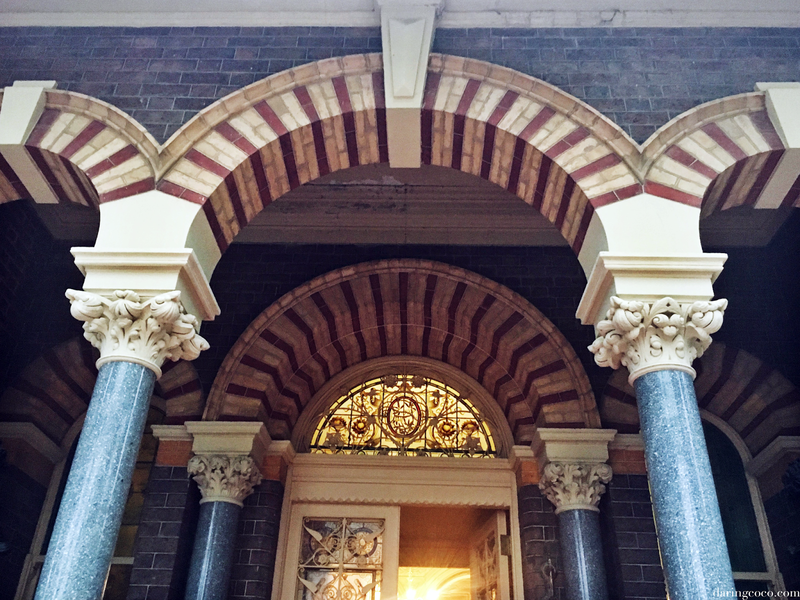 Walking through the grounds and into the building, surrounded by interior architecture and design of a bygone era and then accompanied by specific sartorial pieces, the experience as a whole truly catapults you back in time, and dare I say back to Dungatar in the 1950’s. 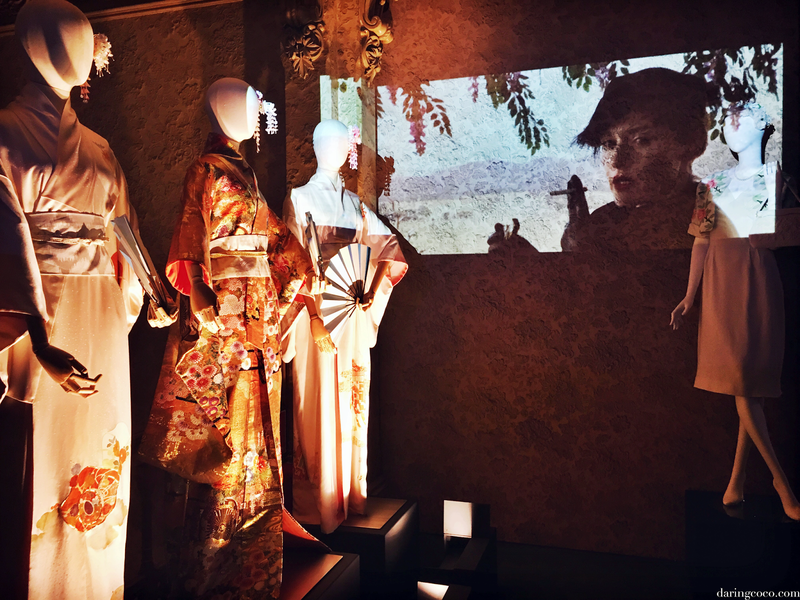 The couture is displayed so tastefully, each with an accompanying backdrop, relevant to scenes from the movie The Dressmaker itself. 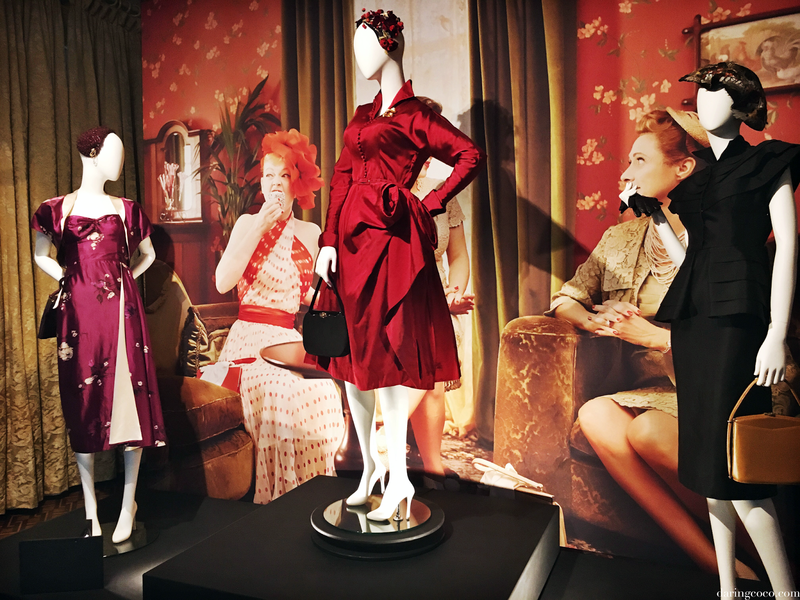 Laid out like a story awaiting to be read, the exhibition does a tremendous job in revealing pieces inspired by Parisian couture of the 1950’s, delicately highlighting detail and the precision involved in the process of costume design and its development for the film. 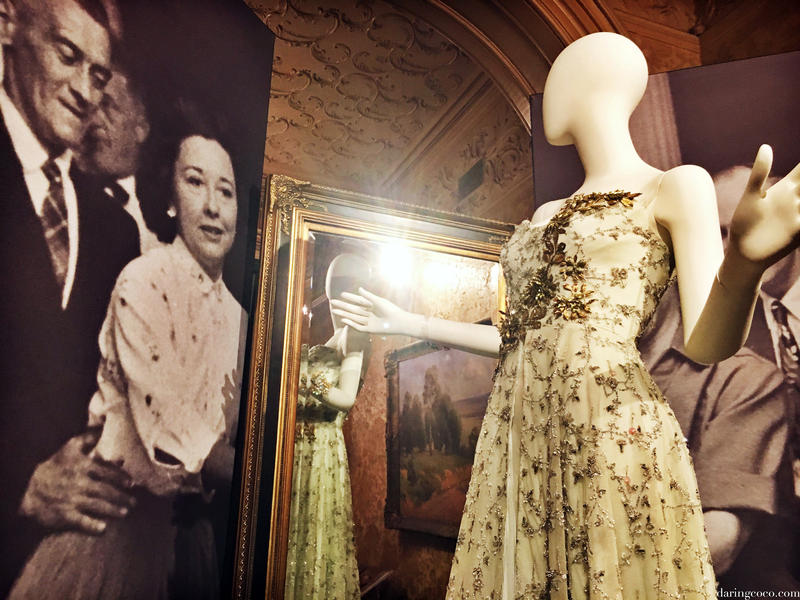 And being in such close proximity to breathtaking vintage pieces is a real joy for any sartorial admirer. Discerning and detecting every stitch, every weave and fabric embroidery is truly sensational for the senses. The resplendent array of lace and colour, the construction and artisanship of pieces were quality is clearly evident. One thing is for sure, they just don’t make fashion like this anymore. Which in turn is quite saddening. Especially as women, the fact that we’ve become so accustomed to poorly and unethically made clothing, that we settle for ordinary and mass production because the media tells us so or simply because financially, some of us have no say in the matter. 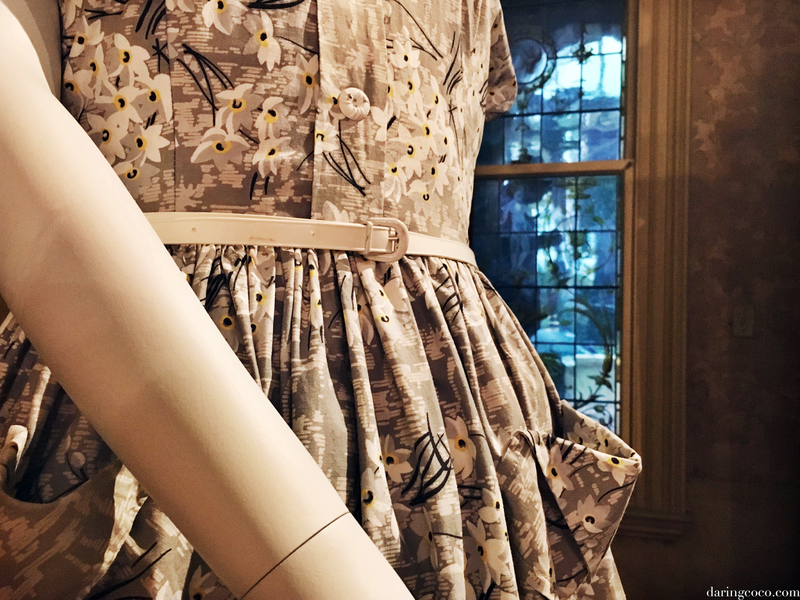 The designs from The Dressmaker will leave you very much aware and perhaps longing for the days of fanfare, of well fitted and produced clothing. Aside from being able to inspect each piece, I also had the pleasure of conversing with Marion for a second time and with the author, Rosalie Ham who was a delight to meet. And as an aspiring author, her energy and enthusiasm for her work, especially in having it produced into a film is utterly contagious. She is sincerely proud as punch and you can’t help but revel her elation. 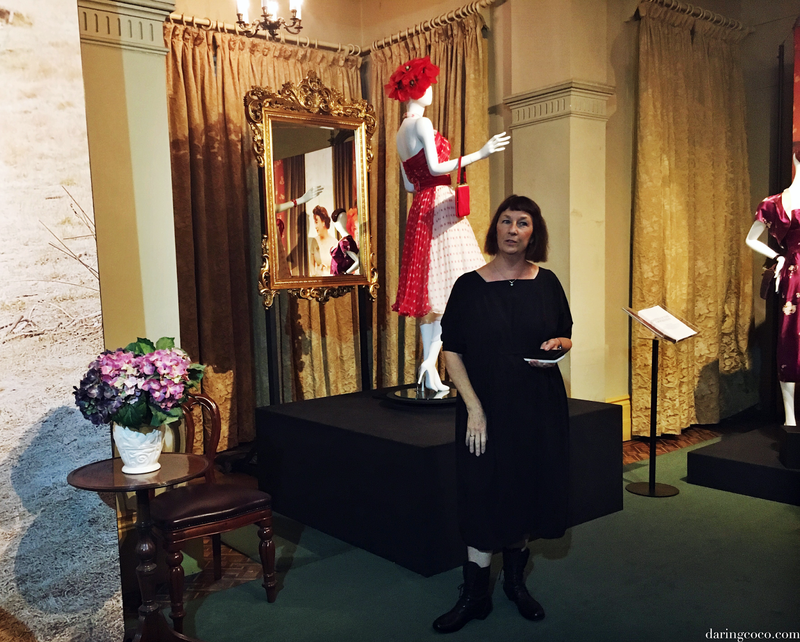 When it comes to the actual novel, the themes in The Dressmaker were inspired by her everyday life and her displeasure for the alarming amounts of hypocrisy, bigotry and vanity she witnessed around her. Something which was a common matter, regardless of wherever you found yourself in the world. Her mother was a dressmaker, as most women were back then. Though the many ensembles she illustrated in her novel were far from inspired by her own mothers humble designs. In fact she actually drew musings for the fashions from midday movies she watched on television or via numerous books she’d explored at libraries. She had clear and concise visuals for each character to which were dressed accordingly. She humbly delights in these pieces, feeling rather accomplished in terms of fashion design. However in seeing her story come to life and the ravishing pieces that Marion had acquired and created she began to view her own inspirations as plainly modest, something as a writer I find to be amusing. 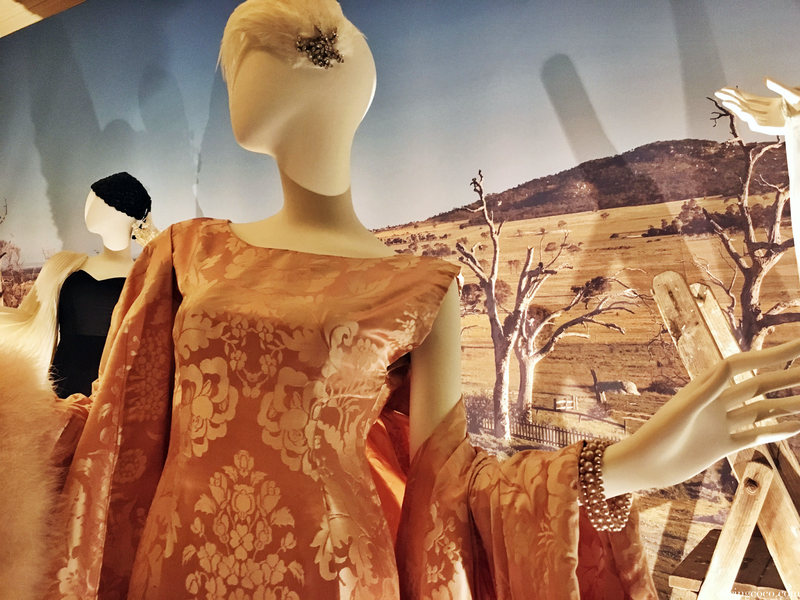 When it comes to the ensembles in the movie The Dressmaker, she doesn’t have just one favourite, rather finding herself drawn to various pieces and all for individual reasons. Something which mostly changes on a daily basis. For the moment, she adores the green silk crepe piece that character Marigold wore. 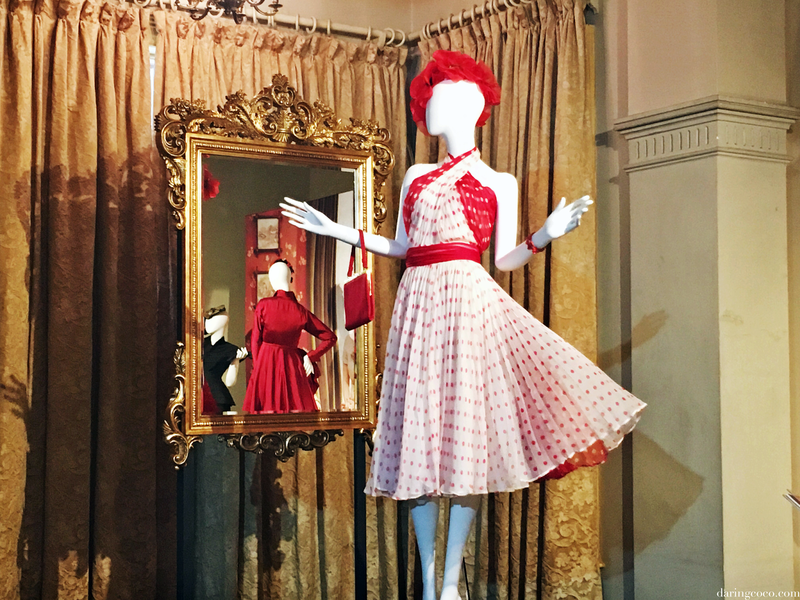 And of course the red polka dot number, a vintage Nina Ricci that pirouette’s behind her also makes her swoon. When it came to her work being transformed into film, she had complete faith in producer Sue Maslin. Having grown up in the same community and even going to school together, Rosalie knew Sue would be able to translate and correlate her story onto the big screen like no one else. While she gave her free reign she did have one stipulation, that her family, friends and herself got to be extras on the film. Something which was happily granted. And while there were noticeable differences between the book and film, Rosalie has no qualms. Sue Maslin converted the story perfectly and Margot and Marion’s costumes were on par with the overall image and feel of her story. Ultimately Rosalie had no problem handing her story over as she patiently waited for her great moment, on screen with none other than Kate Winslet. 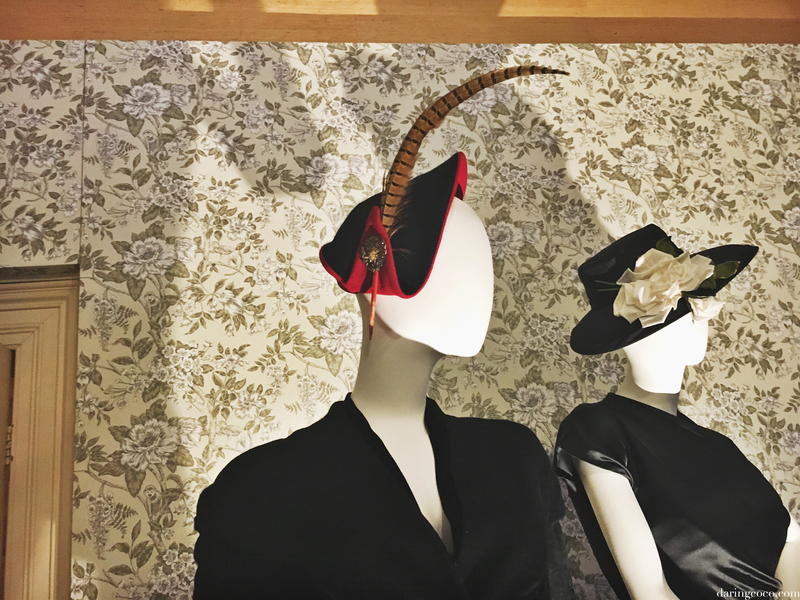 And of course Marion Boyce, one of the astounding individuals behind the incredible array of costumes and couture acquired for the movie. Her passion and adoration for the era, for style and accoutrement really shine in these designs. Her ability to breathe life into forgotten pieces, making them covetable and very much wearable is an enviable skill. Though the beginnings of this project were far from effortless. For Marion, it was a challenging process trying to marry high end couture with a desolate and unglamorous landscape. However in an unexpected turn of events it was this very environment which ultimately inspired her. That and the photographic work of Richard Avedon. 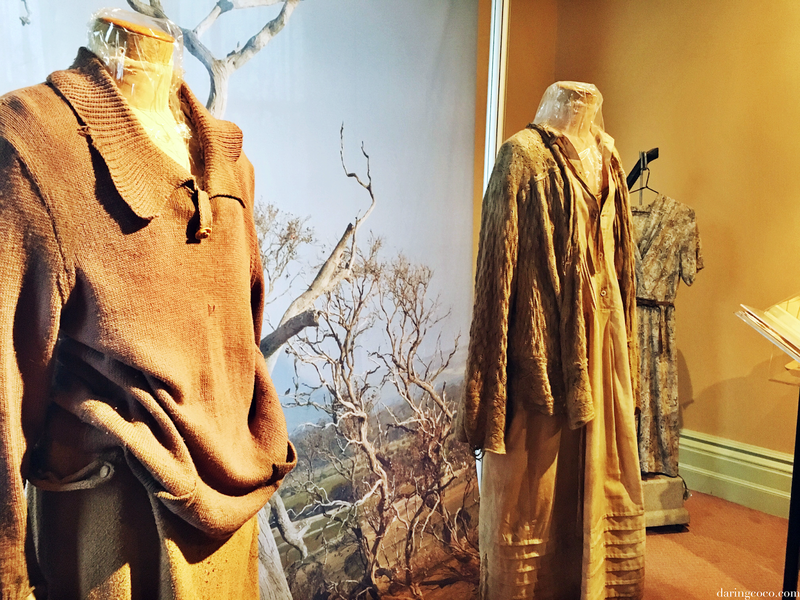 From the colour palette at the beginning of the film, an assortment of dusty browns and rusted hues to the forms and flow of each ensemble, something that inspired by the graceful flight and movement of birds which was ubiquitous on set. Correlating their movement with the characters as a type of preening, almost peacock like in appearance and mimicking this with the use of shawls. 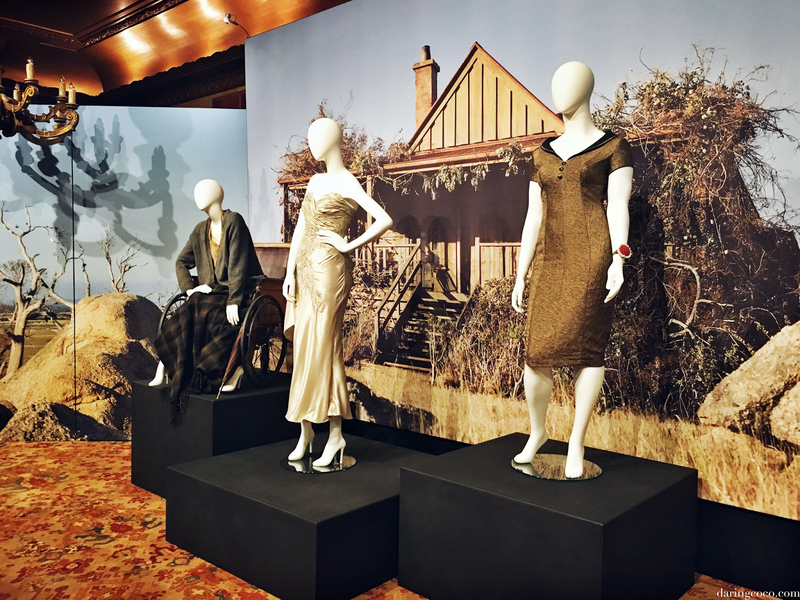 There were a number of unique vintage pieces acquired for the movie The Dressmaker, all located from various sources worldwide. 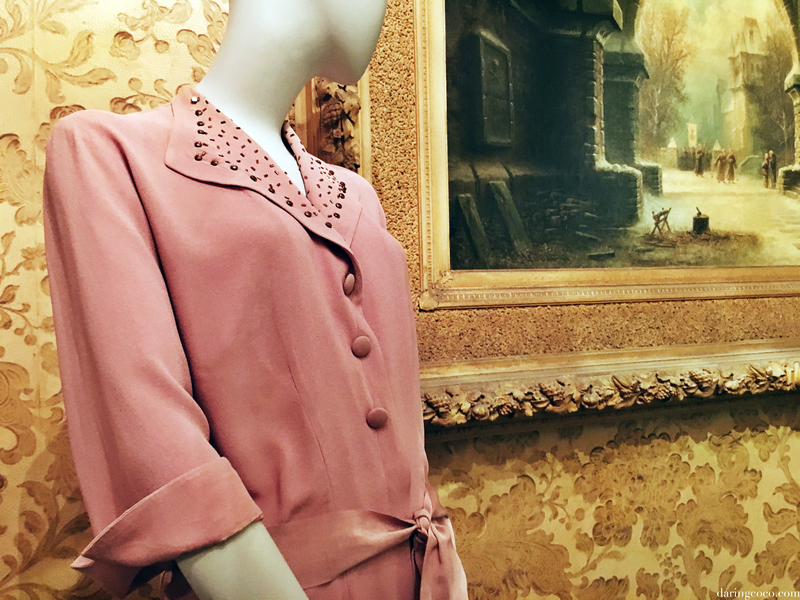 Out of these, Marion’s favourite piece is red polka dot number, an original vintage Nina Ricci, later worn by Gertrude. One that also happens to be my favourite too. 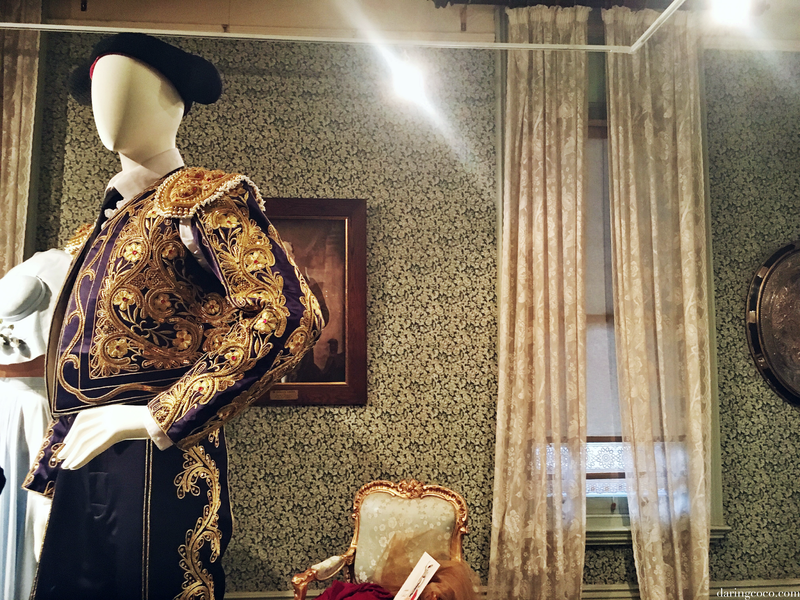 Another stand out piece was the matador jacket worn by Hugo Weaving on the film. Another vintage beauty sourced from Spain and one that helped inspire the design for the pants to accompany it. The jacket is a resplendent work of art, thick in adornment and gold embroidery. While Marion had adored pieces, there was one that she felt most connected to and that was an organza cape, a piece created by John Van Gastel. Fabric has a unique way of transforming and an ability of revitalising the wearer. While in relation to todays fashions, this could be somewhat questionable. 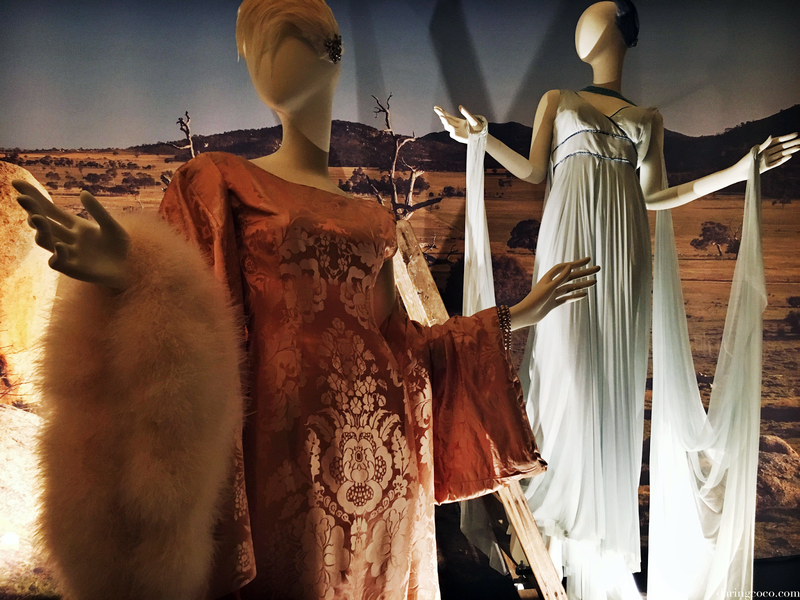 The style of yesteryear and designs created and on display for The Dressmaker are very much palpable. Clothing was made to measure, made to endure. It was a luxury more than necessity and something the wearer wore with pride. Pieces were indeed made to last and they were unique nonetheless. Unlike todays mass production of fast fashion. “i like finding pieces. i find a lot of fashion totally dictates the way you have to wear it, and I like to find pieces that you can then translate in different ways and reformat in different ways and then wear it the way you want instead of the way someone wants you to be. As Marion points out, todays style we all seem to blend as one and these pieces don’t last long before becoming riddled with annoying small holes and loose threads; worst yet easily becoming dated. The 1950’s were incredibly glamorous, individual style was commonplace and not something that was desperately attempted to be attained. There’s no wonder why this period was highlighted. A costume designer really needs to understand the material and the script before them to be able to construe. 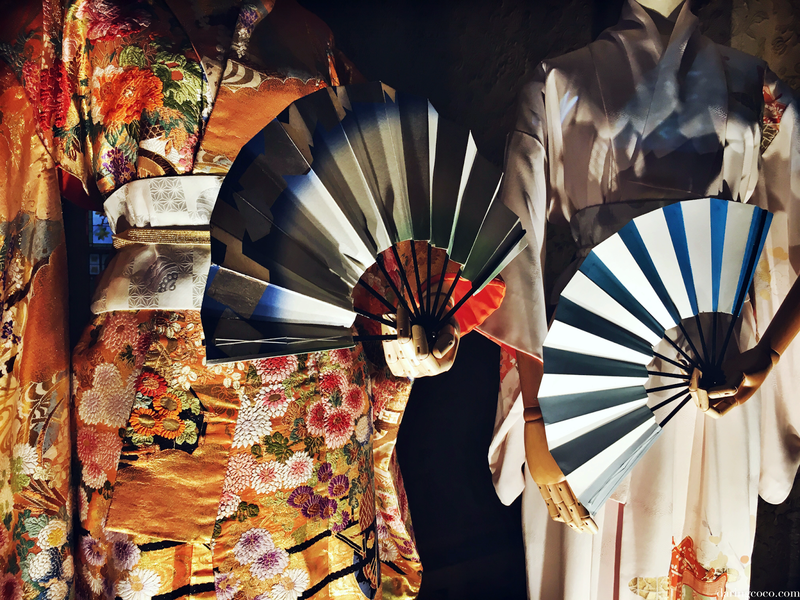 The rich use of silk and paper taffetas, lace and embroidery really pay homage to a time of pure artistry and finesse. 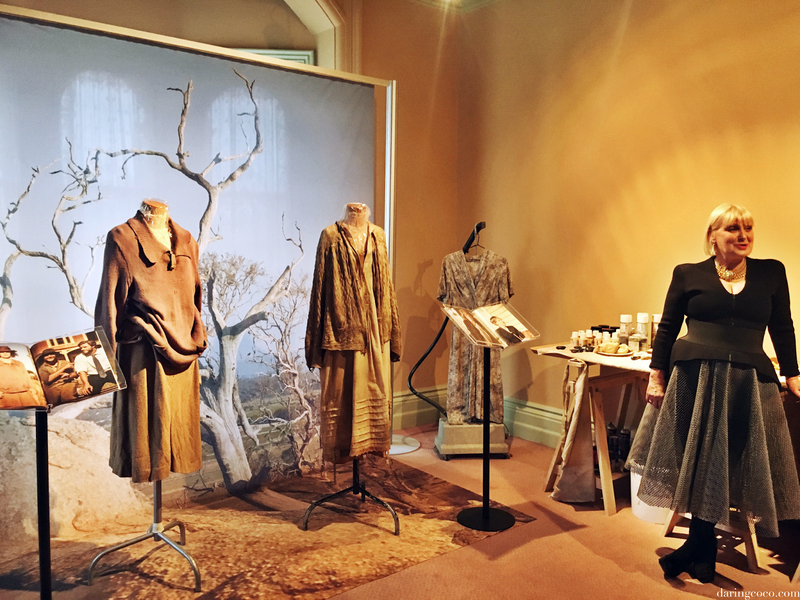 The Dressmaker exhibition is held at Rippon Lea House and Gardens and runs from the 22nd of April until the 31st of July. Tickets are available now online or at the venue.